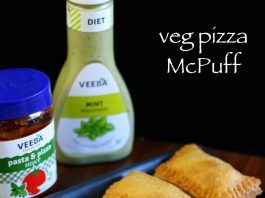 pizza puff recipe | pizza mcpuff recipe | mcdonald’s veg pizza mcpuff with detailed photo and video recipe. basically a savoury snack prepared and stuffed with choice of veggies and pizza sauce. this homemade pizza mcpuff recipe is very much inspired from the mcdonald’s menu of the indian outlet. 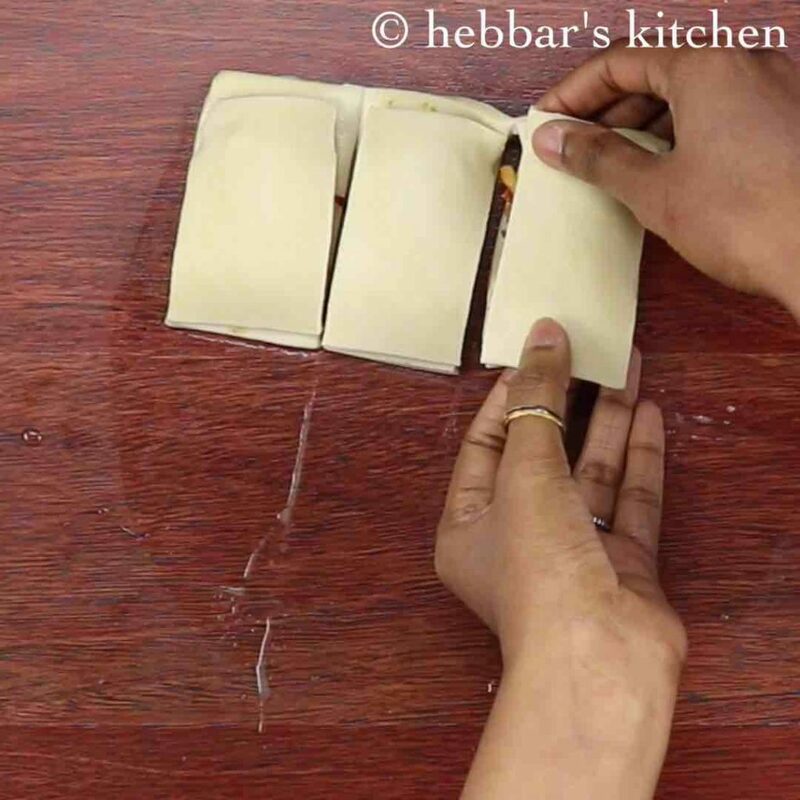 pizza puff recipe | pizza mcpuff recipe | mcdonald’s veg pizza mcpuff with step by step photo and video recipe. perhaps one of the popular side snacks one the mcdonald’s indian menu which has the combination of pizza and puff taste. basically the stuffing is prepared with the veggies and pizza sauce later to to be stuffed inside the puff pastry. typically pizza puff is deep fried but can also be baked in oven till it is crisp. i have always been a huge fan of pizza mcpuff recipe and i always make sure to order it whenever i enter mcdonald‘s in india. however sadly i miss it here in australia as the australian mcdonald menu doesn’t have it. honestly there isn’t any vegetarian option here in mcdonald and i hence i no point in visiting it. 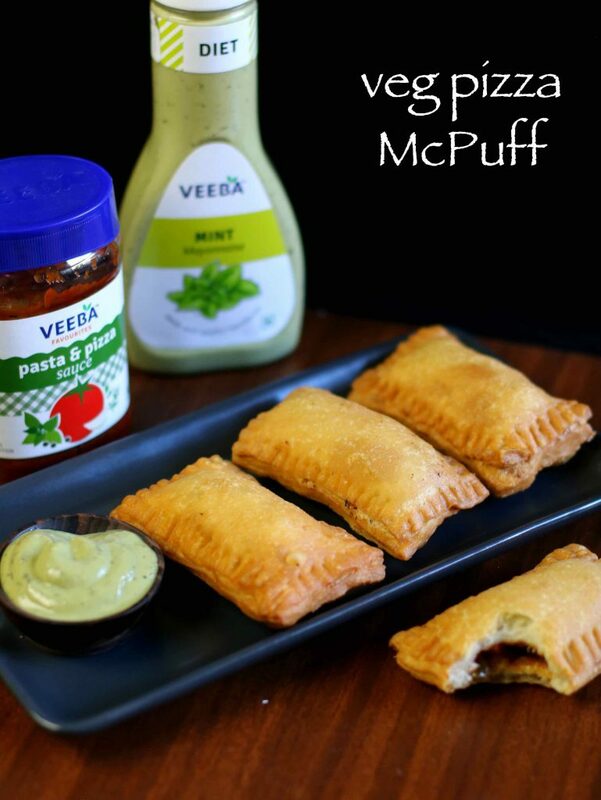 however i was always wanted to munch this yummy and spicy pizza puff snack and hence i developed this recipe from the macdondls website. 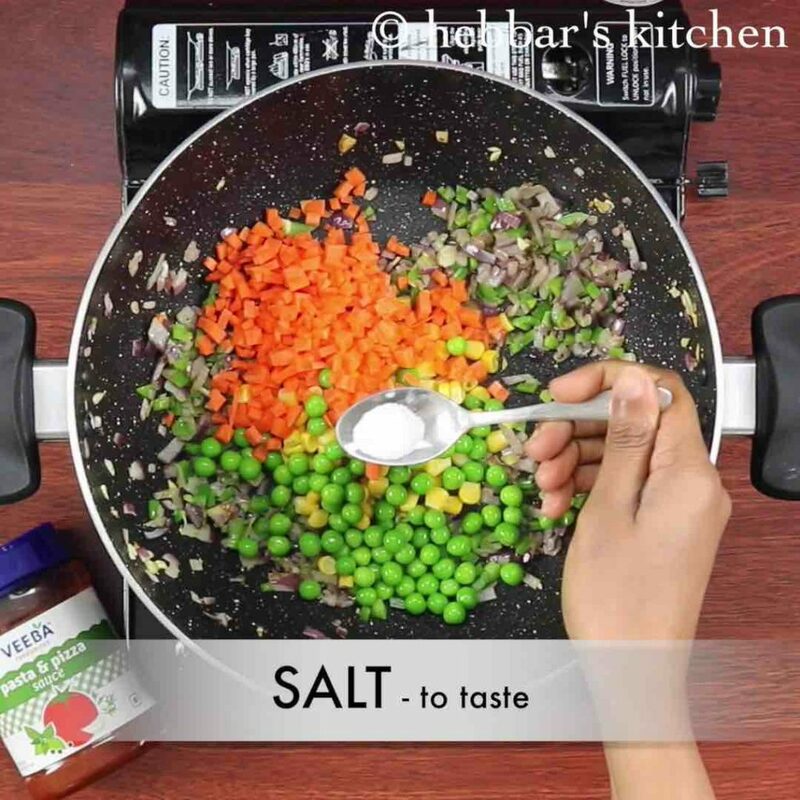 also i have used the veeba pizza sauce which does have the necessary herbs and spices on it and hence i have not added anything specific to it. furthermore, some important and critical tips for a perfect pizza puff recipe. 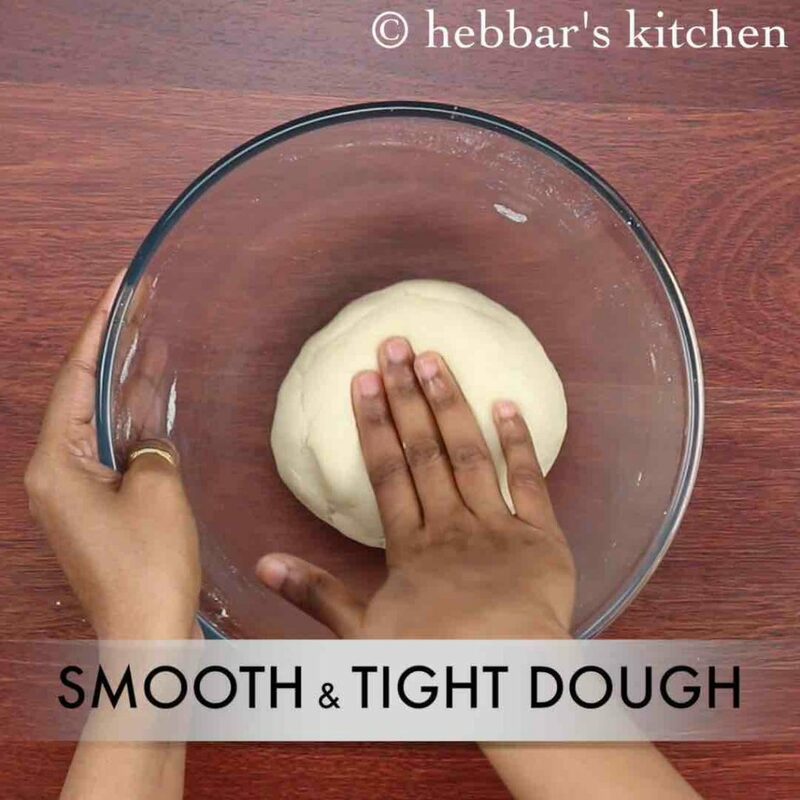 firstly, the dough has to be kneaded with cold water and it has to be smooth and tight. otherwise the puff may have bubbles while deep frying. secondly, the stuffing has to be juicy and add pizza sauce generously. 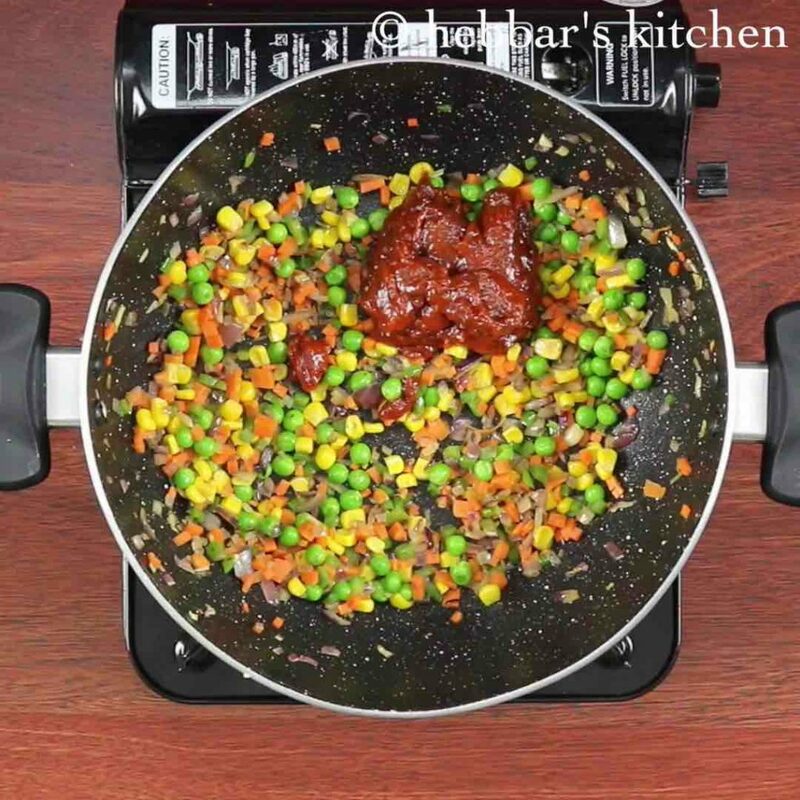 also the choice of veggies can be added including beans and finely chopped mushroom. lastly, add mozzarella cheese only after the stuffing has completely cooled down. we do not want the cheese to melt down and form a soggy stuffing. 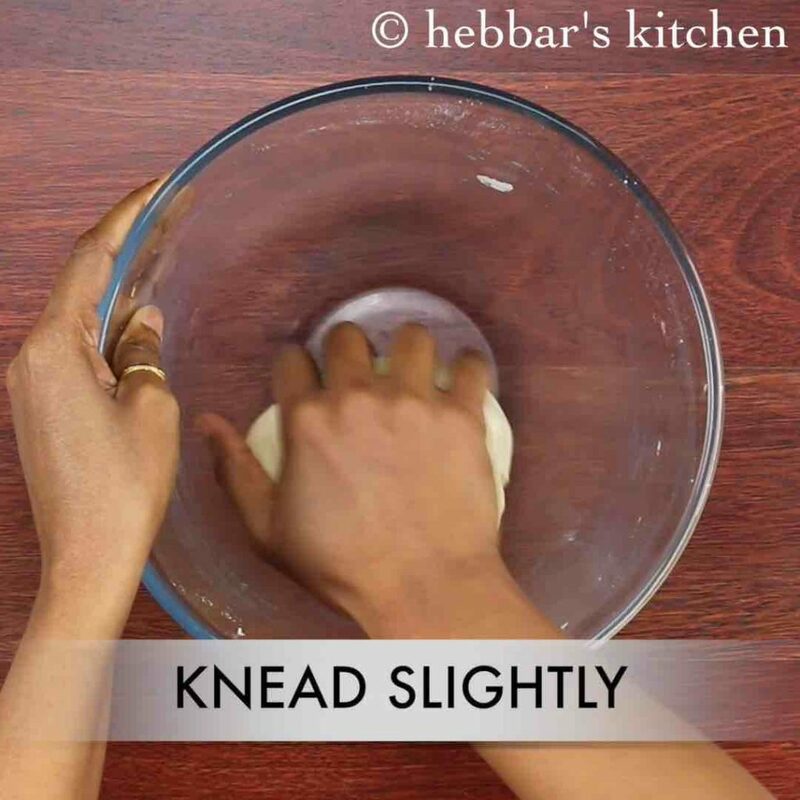 firstly, after 1 hour, knead the dough slightly. 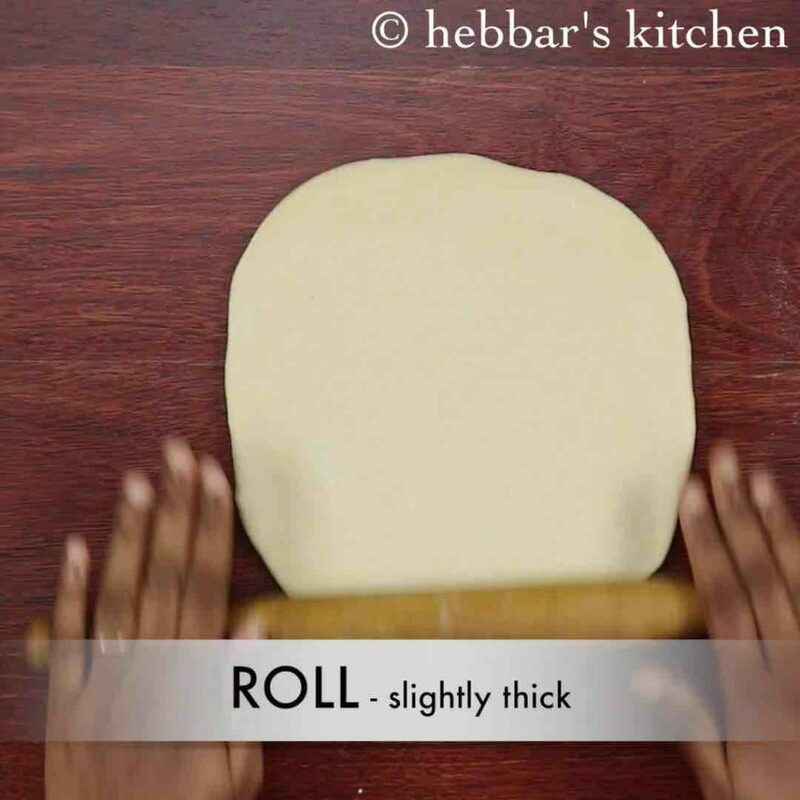 divide the dough half and roll the dough slightly thick. 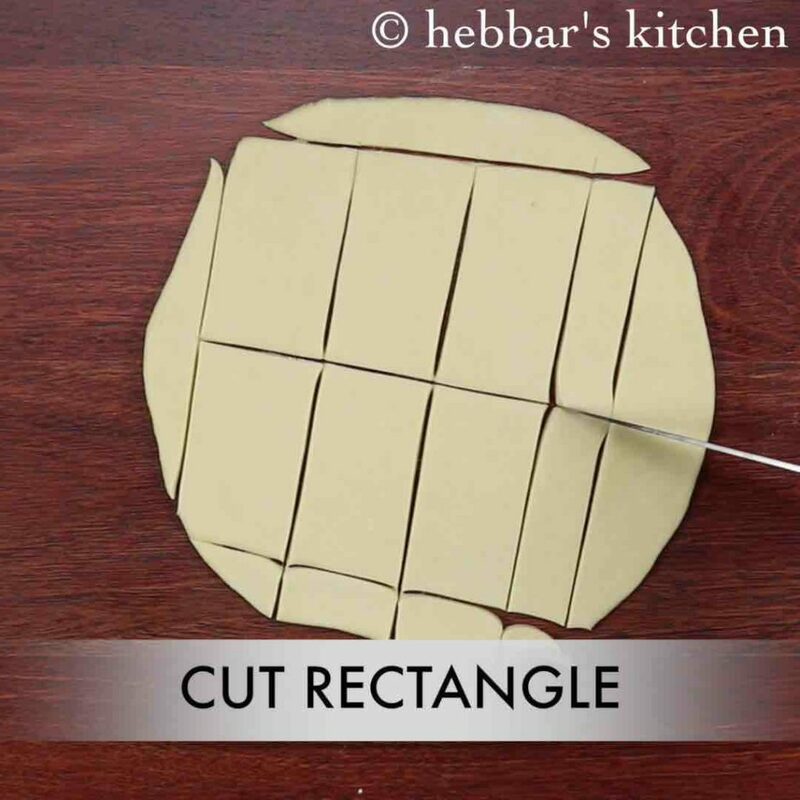 cut rectangle pieces with the help of knife. 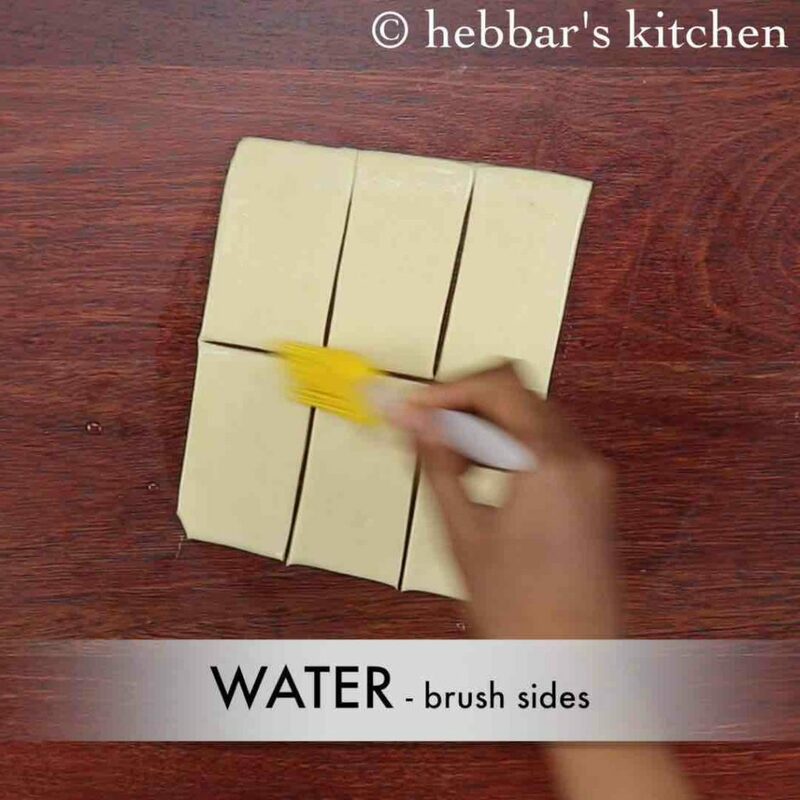 brush the ends with water, as it helps to stick. take a tbsp of stuffing, and place over one side of the sheet. 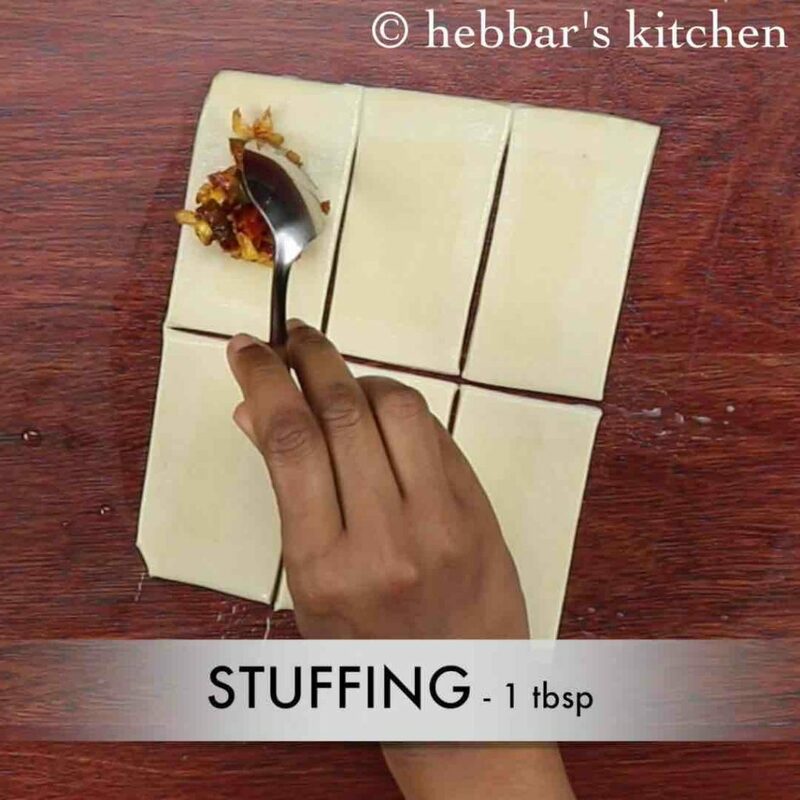 cover the stuffing with other half sheet. press the sides gently making sure the stuffing is inside. 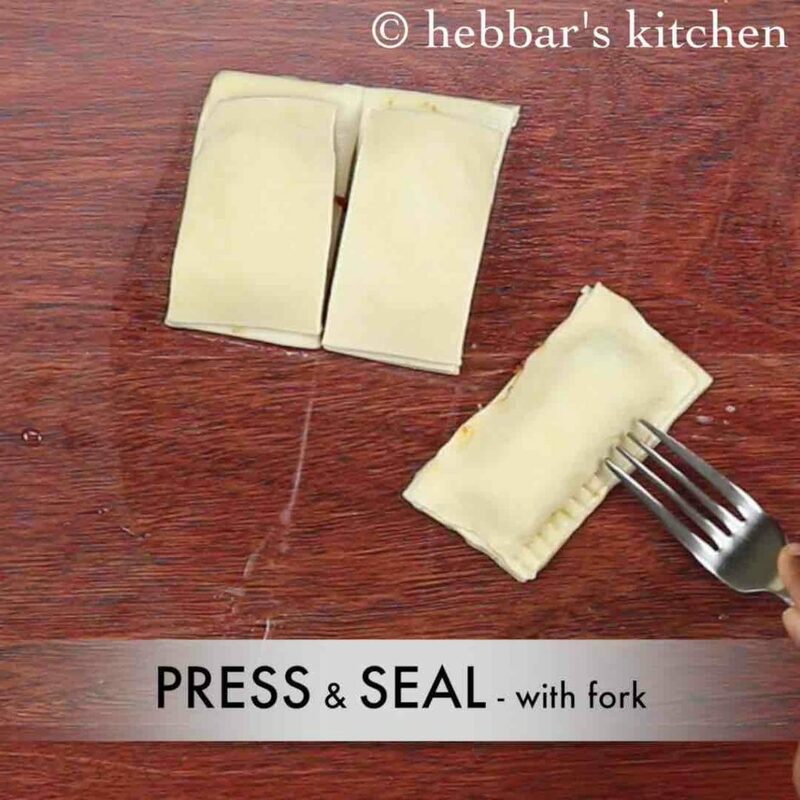 also with the help of fork, press slightly giving a nice impression. now deep fry the veg pizza puff in hot oil. 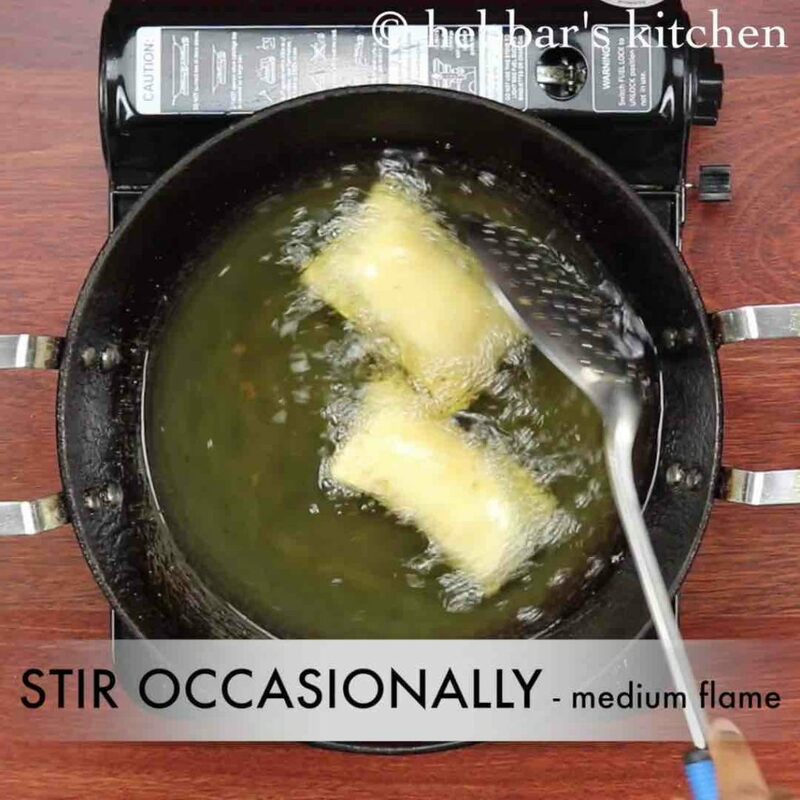 stir occasionally, keeping the flame on low to medium. 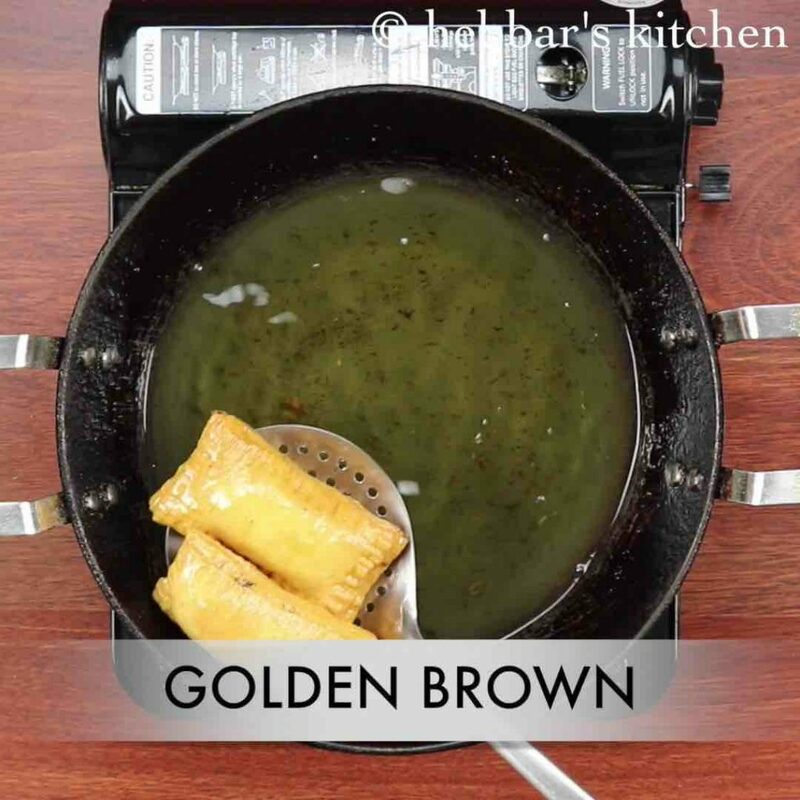 fry till the pizza puff turns golden and crisp. finally, serve veg pizza mcpuff with tomato sauce or mayonnaise. firstly, in a large mixing bowl take 2 cups maida, 1 tsp baking powder, salt to taste and 3 tbsp oil. 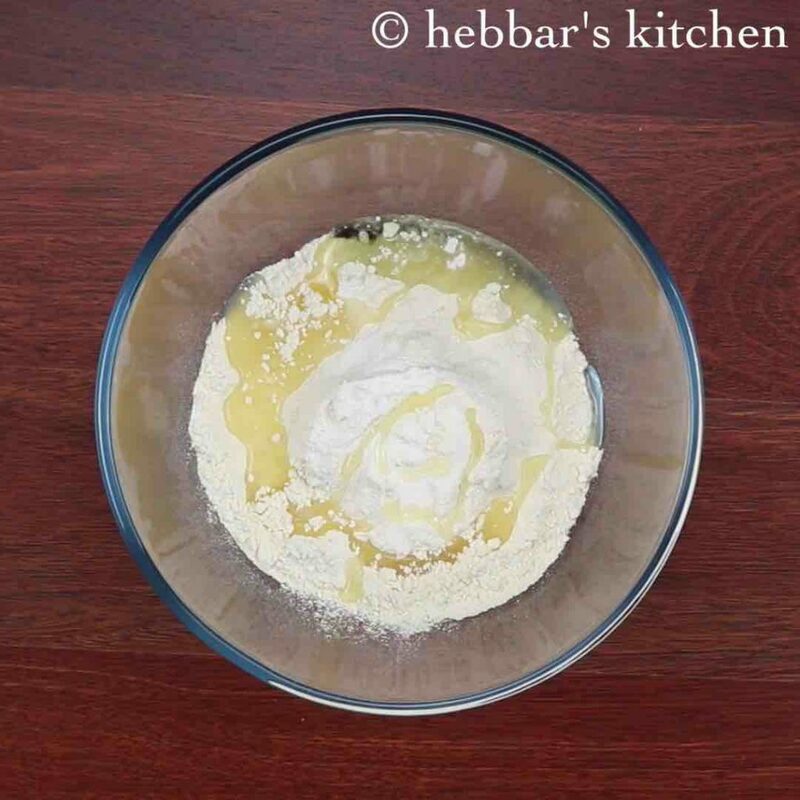 crumble and combine the flour well. 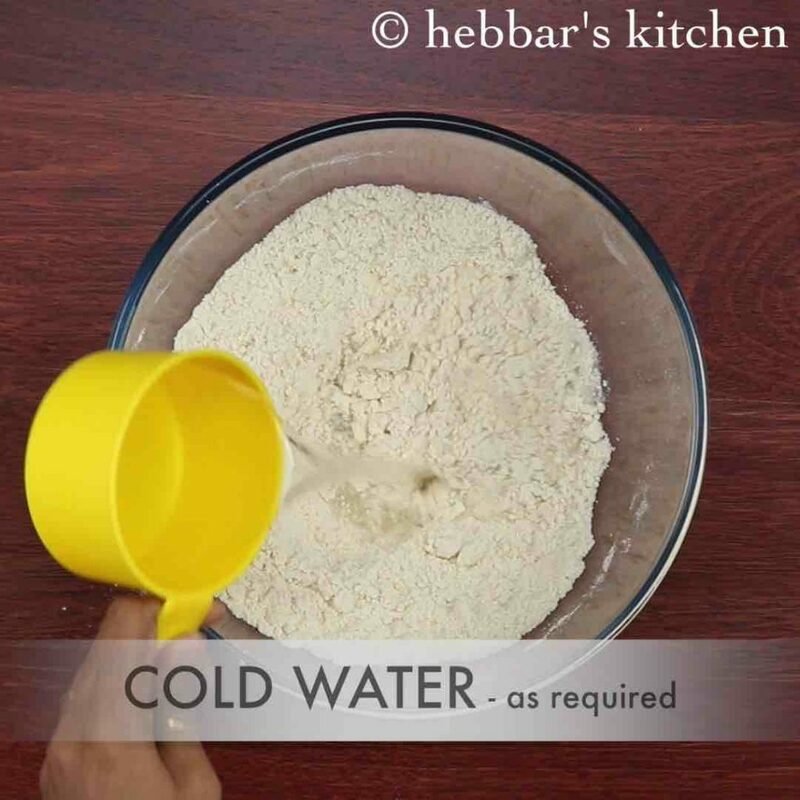 further add in cold water as required and knead the dough. 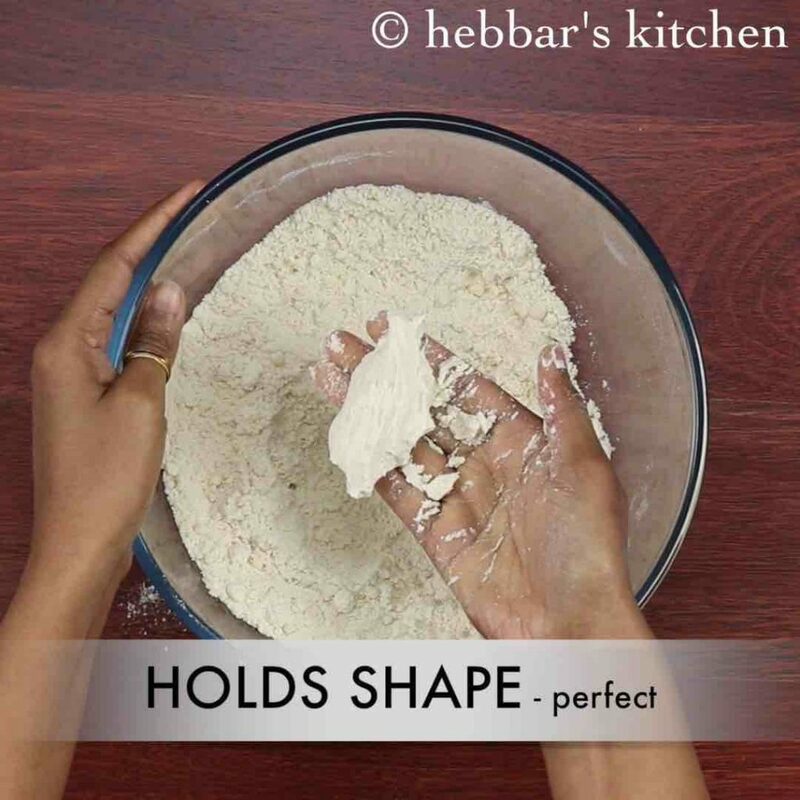 knead the dough for 10 minutes or till the dough turns smooth and tight. 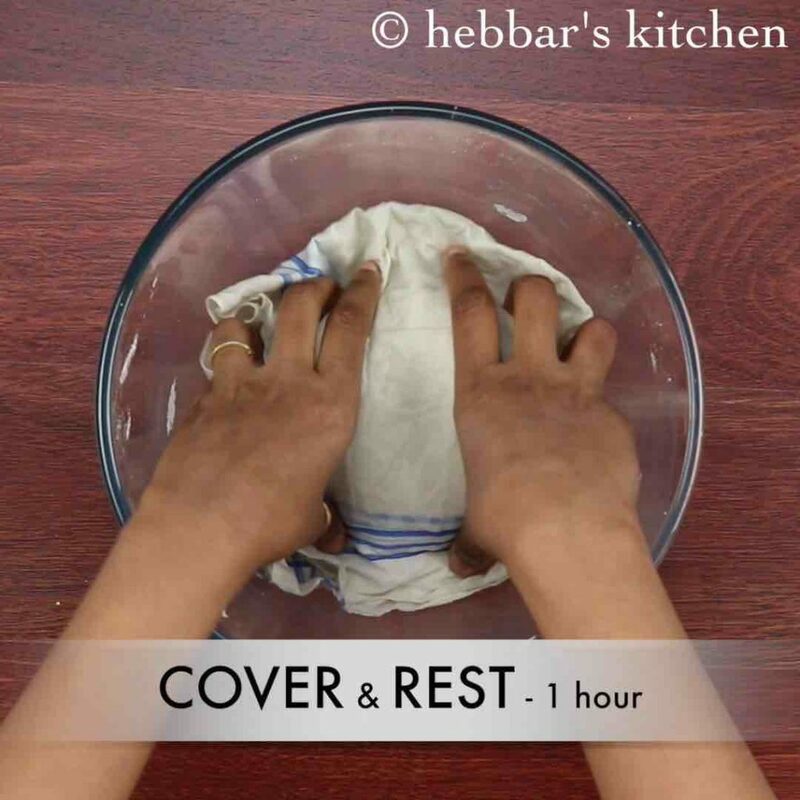 cover with the moist cloth and rest for an hour. 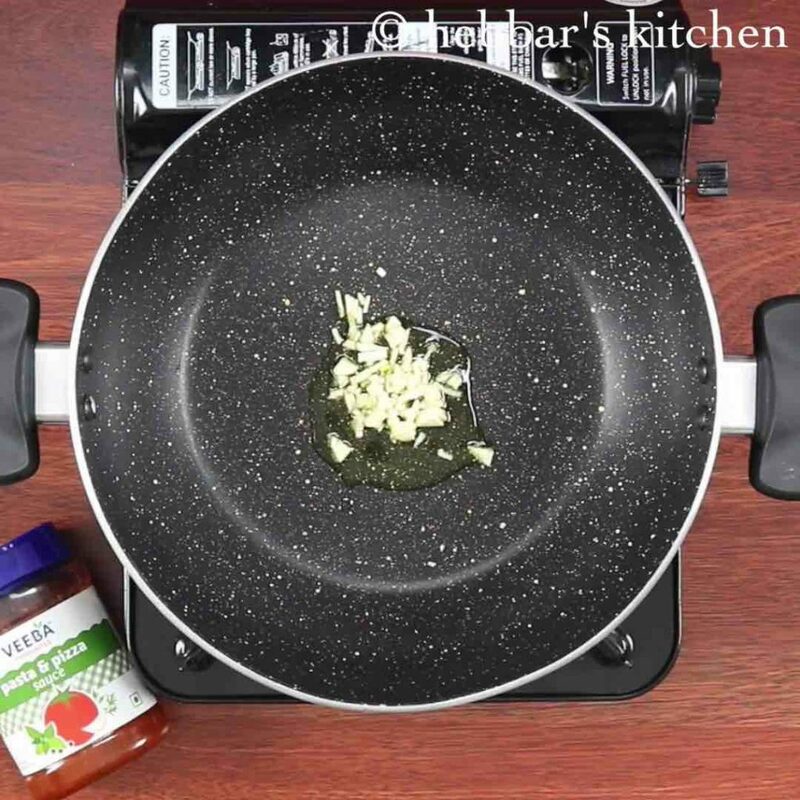 firstly, in a large kadai heat 2 tsp oil and saute a garlic. 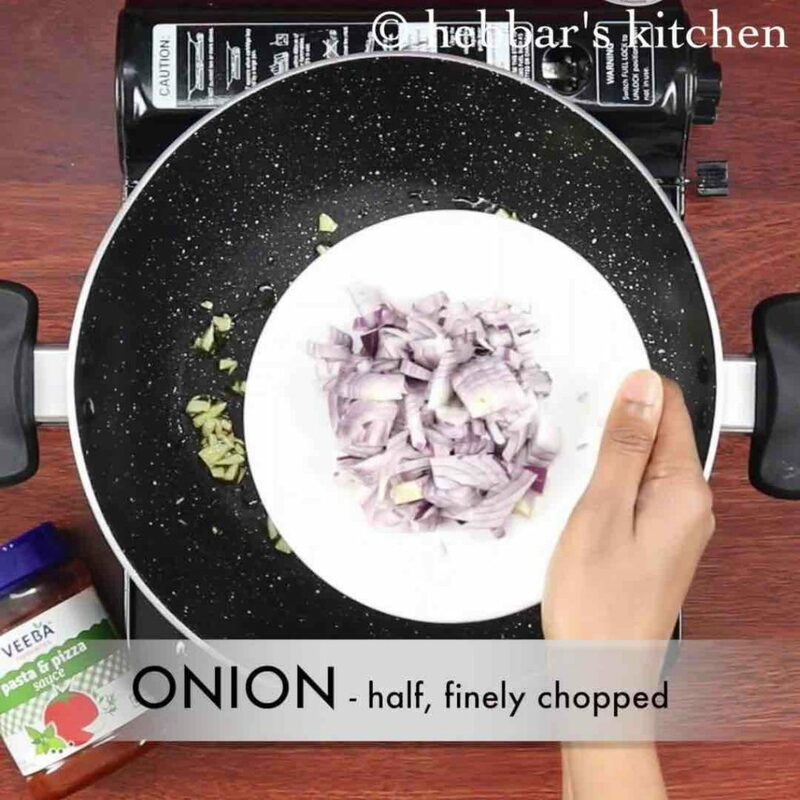 further add in half onions and saute well. 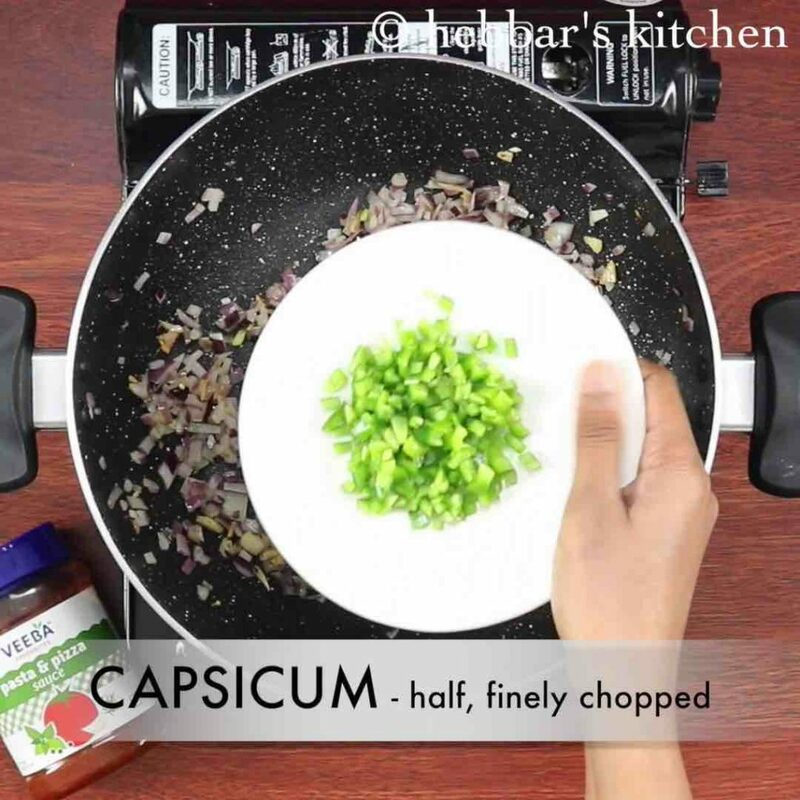 additionally, add half finely chopped capsicum and saute for a minute. 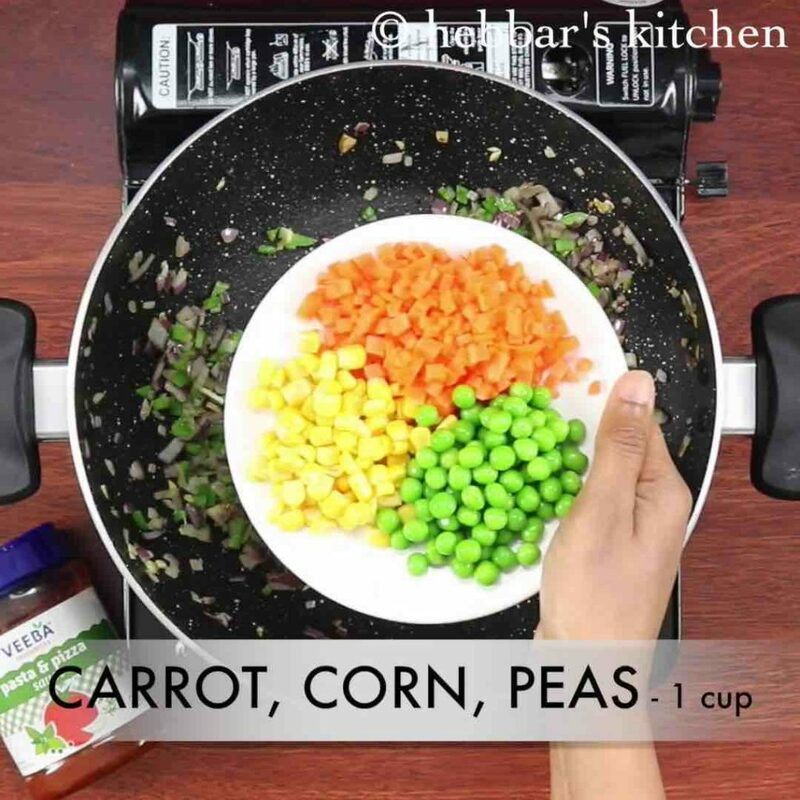 also add a cup of carrot, corn and peas. furthermore, add salt and continue to saute. 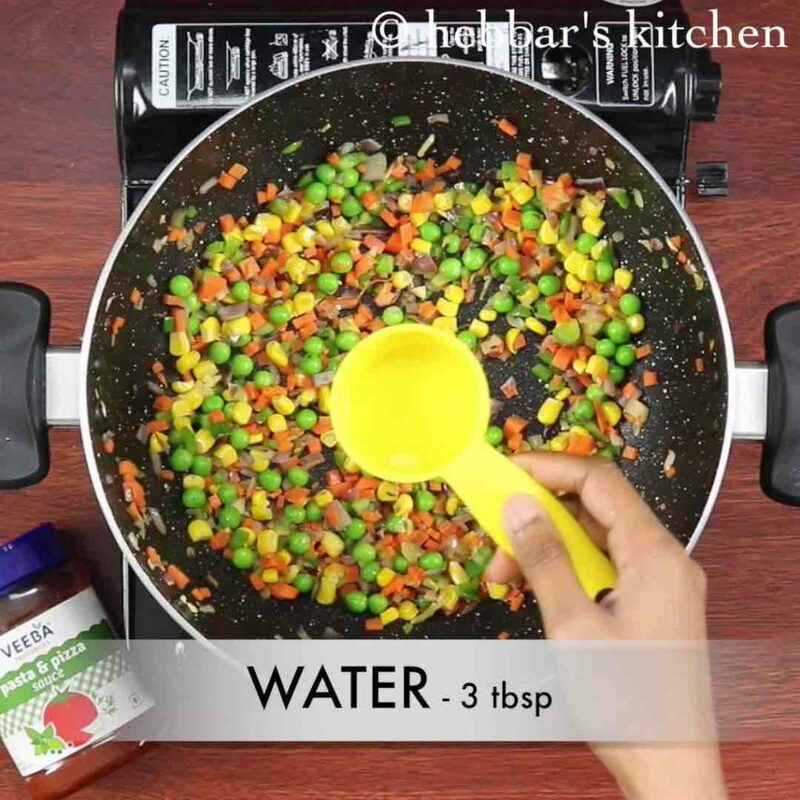 now add 3 tbsp of water for vegetables to cook. 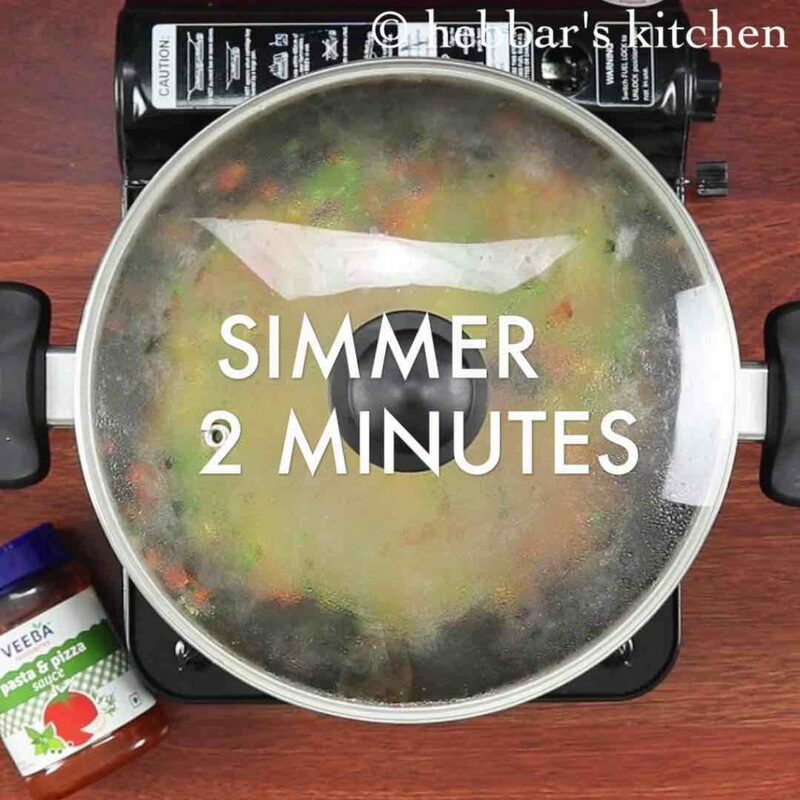 cover and simmer for 2 minutes or more, till vegetables gets half cooked. add in 4 tbsp of combination of pizza sauce and pasta sauce and mix well. allow the stuffing to cool completely. 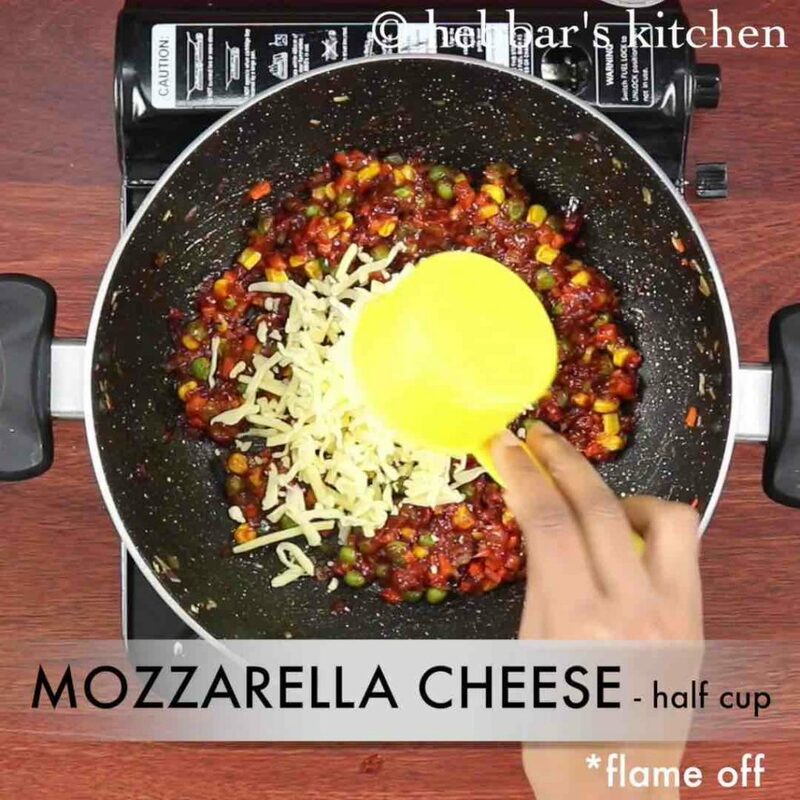 now add in half cup of grated mozzarella cheese and mix well. keep aside. now deep fry the veg pizza puff in hot oil. or bake in a preheated oven at 180 degrees celsius for 30 to 35 minutes. 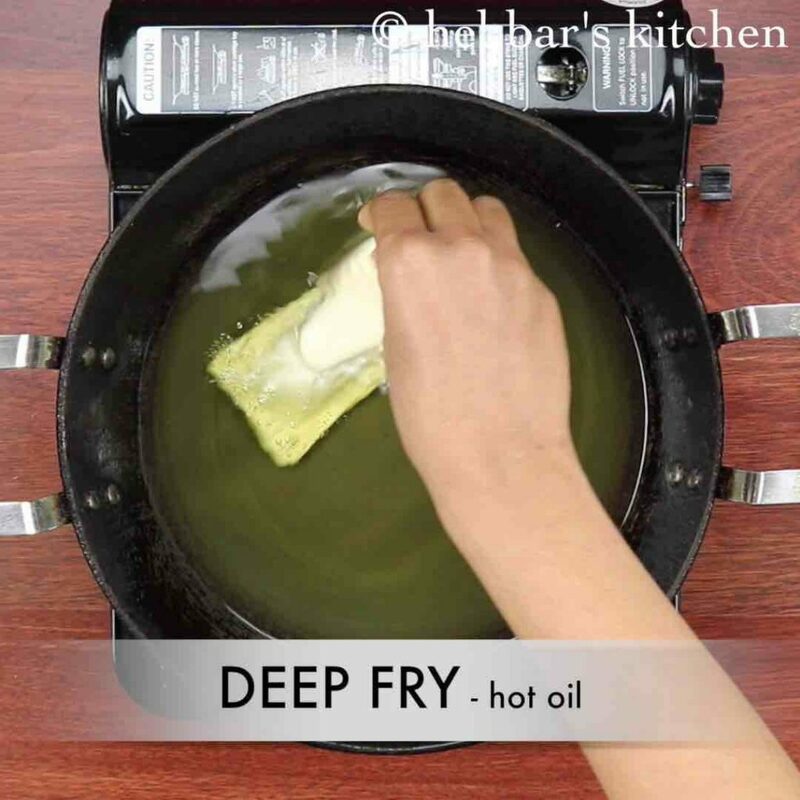 make sure to brush with oil before baking. firstly, add vegetables of your choice in the stuffing. 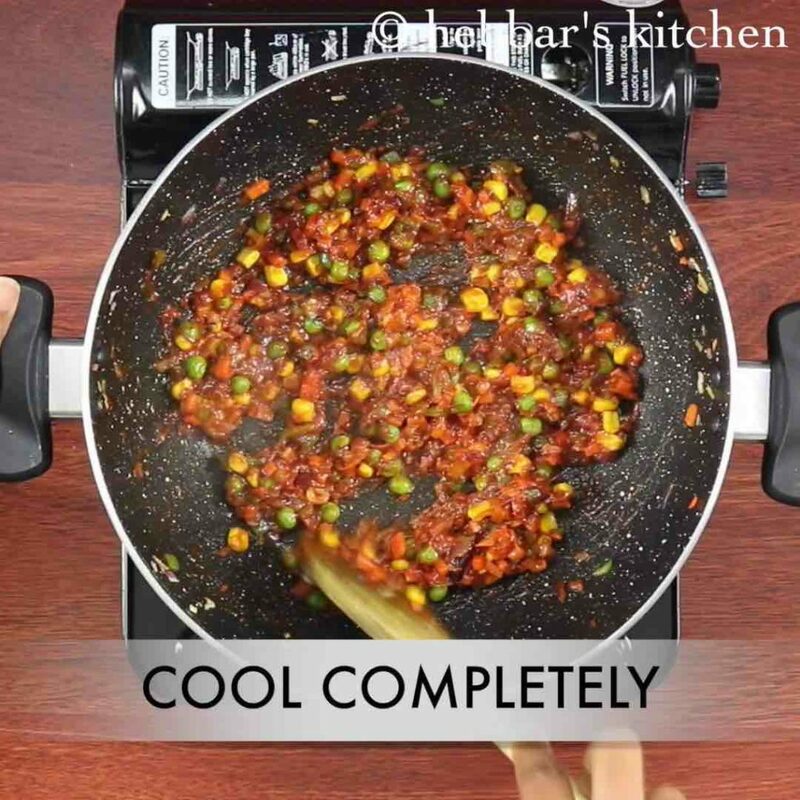 however finely chop the vegetables else will be difficult to stuff. also add more cheese only after the stuffing is cooled completely. else cheese melts. additionally, knead the dough well, else pizza mcpuff will not be crispy and crunchy. 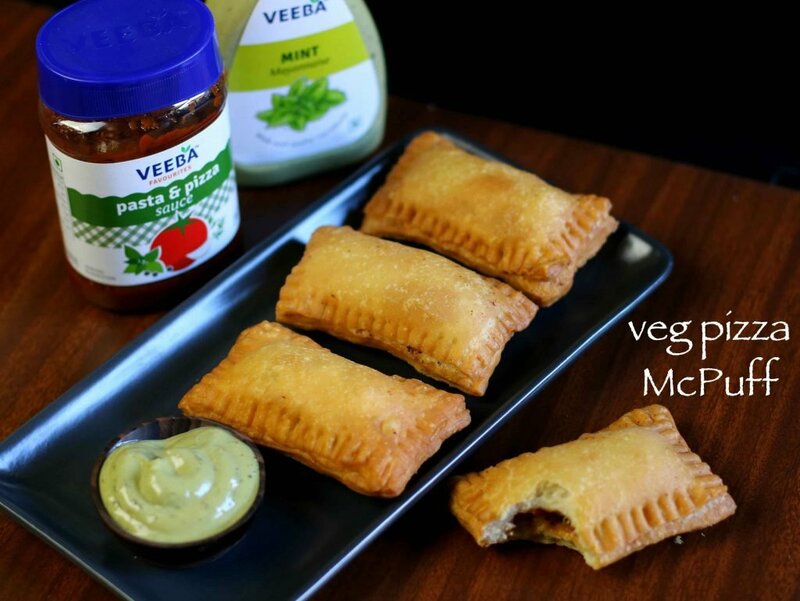 finally, serve veg pizza mcpuff immediately to enjoy the gooey cheesy mcpuff. At how much temp and time should we bake in microwave convection mode? Any changes to be made in recipe while baking? 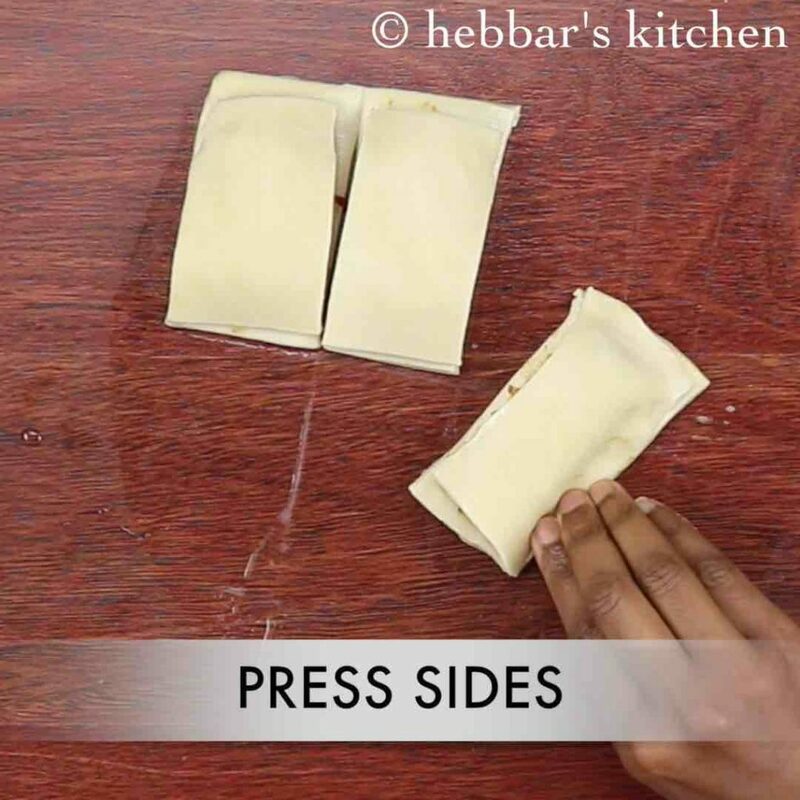 follow the same baking settings even for baking in microwave convection mode.. The recipe came out to be perfect.. Puffs actually tasted like as from McDonald.. Thanks alot…! Can we use any other sauce instead of pizza sauce? recommend to use pizza sauce..